Aerospace ... saving lives at street level. Finally ... affordable custom built ballistic shield protection. 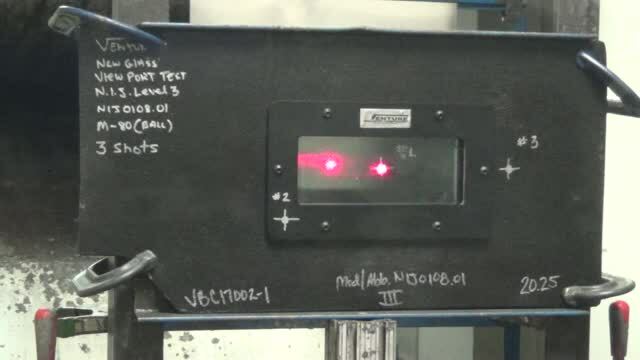 Don`t Buy AR-500 Ballistic Steel Plates ! I hear more and more about AR-500 steel being used as ballistic S.A.P.I plates. AR-500 is not a company as much as is a product I.D . This is a steel with a 500 Brinell hardness used for industrial projects or range targets. This plate will not encapsulate the incoming round , only redirect it into your neck or arms. Plus or minus 5 degrees and maybe someone standing next to you. These plates are heavy , cheap , and have no expiration date so I understand there allure . But there is a reason no Military or Law enforcement agency in the world will deploy them . Don`t fall for this prepper scam . Pony up and buy real gear . If your going to buy a ballistic shield on GSA Advantage , you should keep these things in mind. 1.) Don`t buy a shield that does not have a picture that accurately represents the piece of equipment advertised . 2.) Verify the "Operational Weight" of the shield and not the "Bait and Switch" weight posted without view ports , lights, and accessories. 3.) Do your research prior to placing an order, This is a small industry and all relevant information is easily assessable on the manufactures web site . 4.) Check web pricing and make sure you are not missing a sale on the gear. 5.) A (7) Year Warranty adds more value to your purchase than a (5) year Warranty. Hope this helps , don`t fall for the retail rip-off. 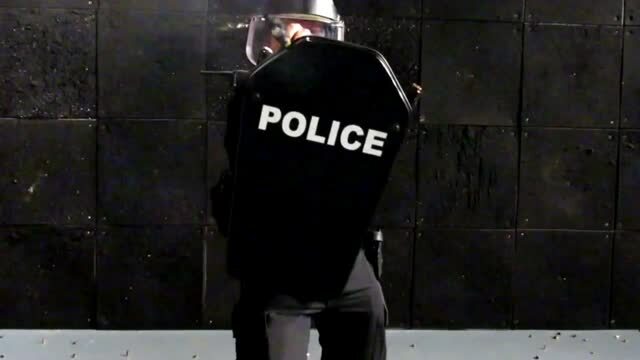 The most dangerous tip to Law Enforcement ballistic protection is not the "Green Tip" it`s the "Blue Tip" . That`s the color ink in the pin of the administrators and politicians that fail to see the benefits of the simplicity of a piece of gear that has never killed anyone , but has saved hundreds. "Don`t look for cover , take it with you "! View Port Tested with 150 gr. M-80 (Ball) 2758 fps. "NO PENETRATION"! New Handles available for non-lighted shields. Must be specified at time of the order. Rifle or Pistol protection for the head,neck, and chest. Multi-hit that`s off the charts. Expensive armored door panels are a waste of Department resources , they offer no ballistic protection behind auto glass and must be left with your vehicle in critical incidences . These additions must be purchased with your new car`s and be removed before sale. 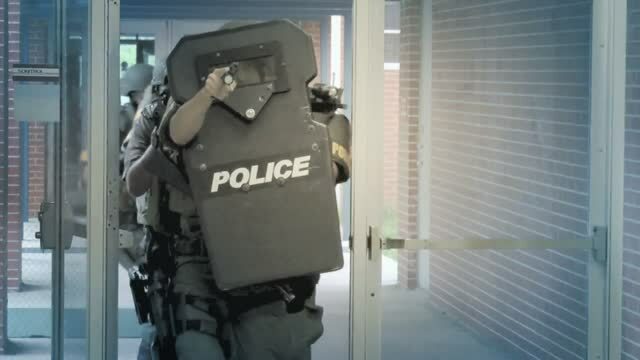 The more cost effective option is the hand held Ballistic Shield , at $395 in 3a and $1000 per man for NIJ Level 3 . Come See the new Bunker Shield at the I.A.C.P in Orlando this September 6-9th . Special Ballistic Protection "Police Magazine 2016 "
"Tactical Shields" Listed by Automotive Armor Manufacturing. Dealers and Wholesalers "A word to the wise". Do not bid the gear if you can`t buy it , without prior approval ! This item may be regulated for export by the U.S. Department of State or the U.S. Department of Commerce. Please see I.T.A.R Export Policy prior to placing your order.